A Utopia Like Any Other is published by Edinburgh’s Luath Press. 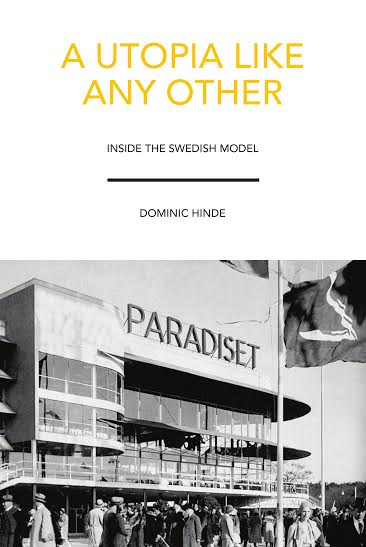 An accessible and easy to understand guide to contemporary Sweden and its politics, it is part travelogue, part academic primer and part reflection on our own need for utopias. An anthology of reporting from Sweden combined with a critical introduction, the book takes readers on a journey from the 1930s to the present day and from an Arctic iron mine to the suburbs of Shanghai. On its way it features a migrant camp, political festivals, radical feminist activists and concrete housing projects, TV talk shows and celebrity economists, faded bathing resorts, neo-Nazis, and the Scottish independence referendum. All of these different locations and characters are used to explain the Swedish model; what it is, how it works and what it means for the rest of the world. “Engaging, well written, and very readable.” – David Torrance, The Herald. “An eye-opening tour of Sweden’s diverse landscapes and cityscapes.” – Dr Claire Thomson, Senior Lecturer in Scandinavian Studies, UCL. Book enquiries should be made to sales@luath.co.uk. Both print and digital versions are available via Amazon, Barnes and Noble, Waterstones and other major retailers.